See and hear video demos & live shows. Cave Music recommends Piper Johnson Catering. David has known them for 25 years, and they cover all of wine country. Always sensitive to the big picture. Enriching meetings & catered celebrations with grace & zest. Serving professional organizations, cultural groups, social gatherings. Copmbining musical mastery with human insight... artfully making people happy. You are unique. Conversation counts! For a consultation and quote, phone 707-224-4222. The best background - Cave not required! 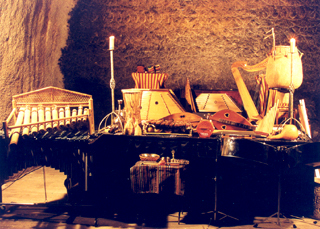 Spectacular instruments are carefully selected to complement the purpose, the place, the people. Expert at making people happy. Dynamically adaptable to mood changes. Musical atmosphere for cave & cellar! Sensory immersions in sound designed to enhance wine exploration. A feast for the ears to elevate tastings into the realm of enchanting experiences. 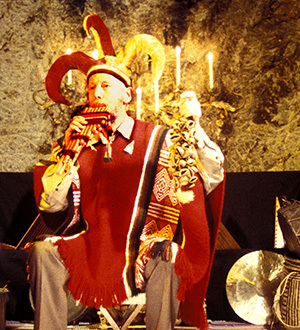 Private cave performances by the master cave performer! 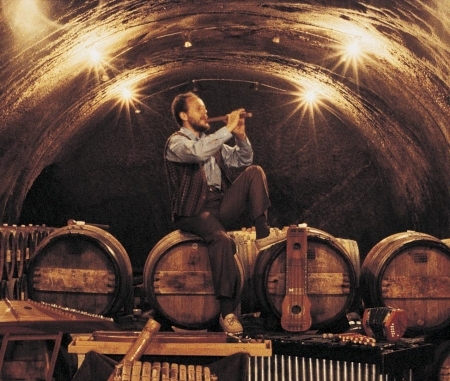 While you're in wine country, have your own subterranean show: Cave of the Spirits, Cave of the Drums, Cave of the Bells, Carols in the Caves... Anything from Bacchus to Banshees. 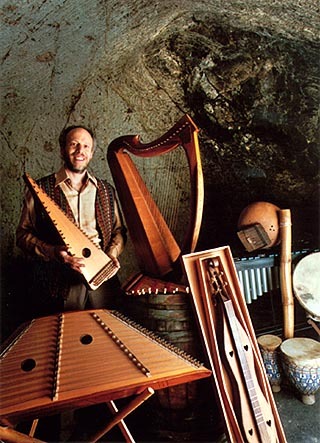 Legends, lore, and spellbinding sounds. Group transformations! Drum parties! Imagination quests! Fostering togetherness! 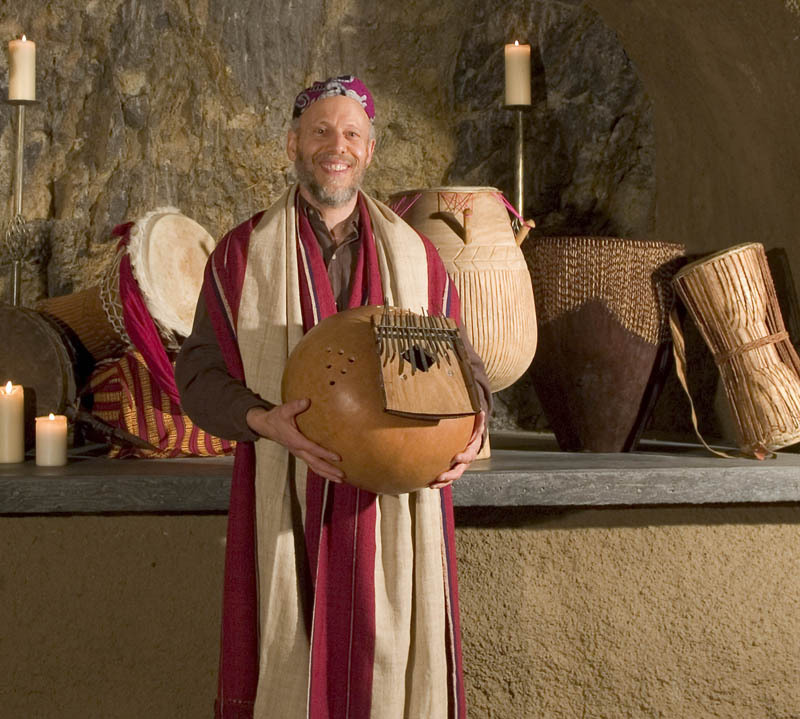 David Auerbach is your experienced guide to social harmony and creativity. Informal, relaxed, soulful, fun. For celebrations, team building, human development. Professional meetings, family gatherings, spiritual groups, wine clubs, educational workshops. 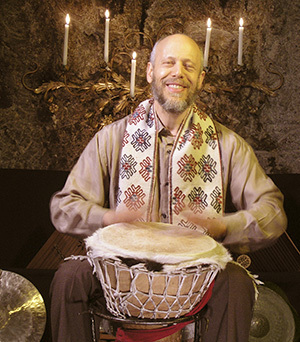 Sound Explorations use hands-on percussion to take drum play to a higher plane, furthering individual expression within the shared heartbeat of group fellowship. Easy for everybody, with all instruments supplied. Tall Tale Conversations are spontaneous stories, in which guests spin threads of imagination, interweaving their minds. 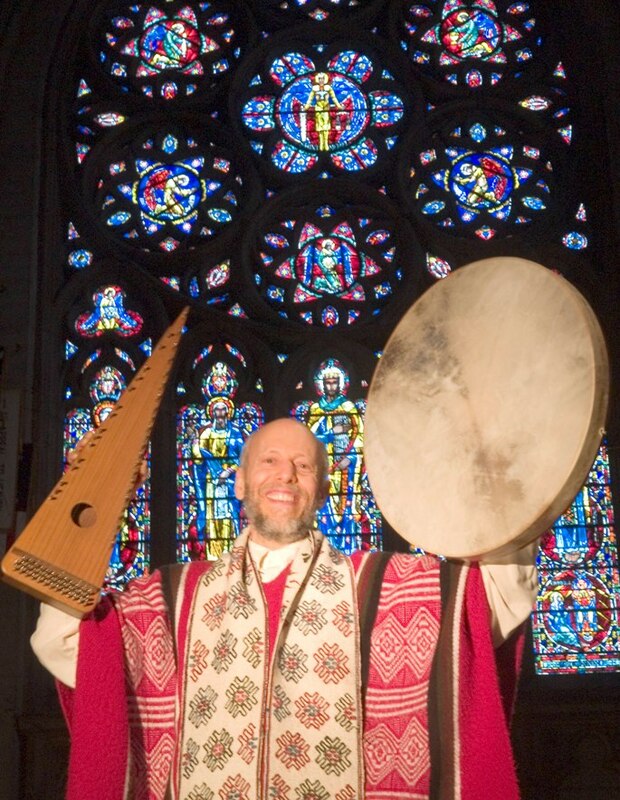 David evokes the muse with his music, summoning inspiration to weddings, memorials, and other purposeful gatherings. 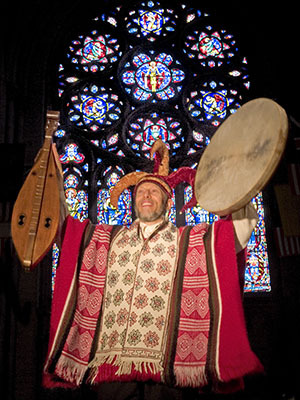 Services, rites, passages - Creative challenges welcome! Vast instrumental scope. Adaptable versatility. Memorable milestones from the nostalgic gathering to the different wedding. 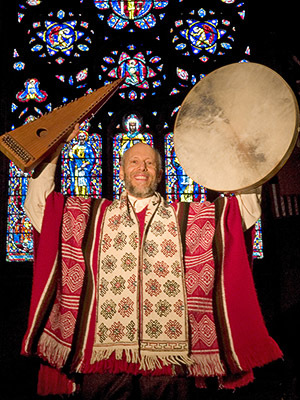 Encompassing traditional festivities and innovative ancient or modern approaches to spirituality.